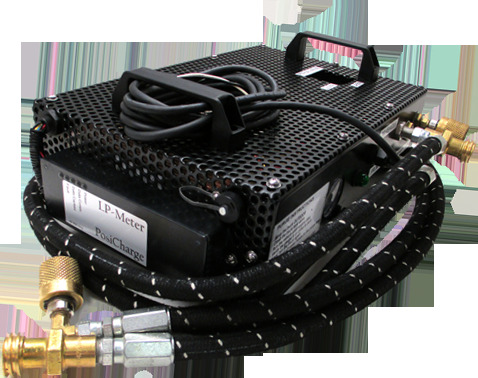 The PosiCharge™ LP Meter is the industry’s only tool that can be used to demonstrate the value of a customized Liquid Propane to Electric solution. WE’LL HELP YOU SWITCH TO ELECTRIC & SAVE UP TO $8500/TRUCK ANNUALLY! Get to know our team better – we’re here to help. Our consultative services will help you find the charging solution that’s a perfect fit for your operation. 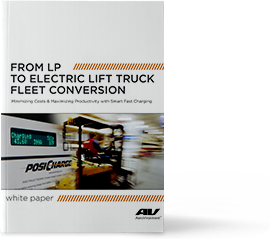 From LP to Electric Lift Truck Fleet Conversion: Minimizing Costs & Maximizing Productivity with PosiCharge™ Smart Fast Charging. Getting the maximum return from converting your LP (liquid propane), or ICE (Internal Combustion Engine) forklift fleet to electric requires a plan - a one-size-fits-all solution will not work. While the potential operational benefits and cost savings can completely justify the switch, it is critical to understand your application and truck usage in order to provide the right smart charging solution. To ensure that your operation gets the most out of switching to electric, we offer consulting services using our innovative cellular LP forklift meter technology. The PosiCharge™ LP Meter is the industry’s only tool that can be used to demonstrate the value of a customized LP to Electric solution. The LP Meter captures the fuel consumption and usage data on propane-powered lift trucks without the hassle of manual data collection by operators or maintenance staff. It measures and records gas flow and truck operation every 10 seconds using an internal flow meter and real time clock. Data is stored on internal memory and communicated via cellular connection back to PosiCharge for analysis. The data is typically collected over a one week period, but the LP Meter can hold up to 4 weeks of data if longer analysis is needed. Using the data collected, our team of experts will prepare an in-depth assessment of your LP fleet and an ideal, custom electric fleet profile that includes the number of trucks, batteries, and chargers required, and recommended battery sizes and charge power requirements. Unparalelled ability to measure & analyze exact, real time LP forklift energy usage. Portable & convenient to ship. Installs in minutes. Can be mounted to the overhead guard or LP tank. Cellular communication for data capture. Data collected is used to create a detailed electric fleet profile and recommendations. Thousands saved by eliminating workers’ compensation claims and medical costs for respiratory illnesses and CO poisoning caused by LP forklifts. All LP lift trucks produce CO during regular use, which canbe potentially hazardous. Air quality within a warehouse is vital to your team’s health. Eliminate employee illnesses associated with carbon monoxide (CO) exposure and dust from LP forklifts. Real time fleet data identifies LP fuel use, lost productivity, and billing discrepancies. Comprehensive analysis for IC to Electric Fleet Conversion includes operating costs, productivity, capital expenses, and employee safety. Cost-saving recommendation for charging solution and battery sizing.